When the PEOPLE Fight Back! Here is a short little video clip that should be shared far and wide. One little incident where official brutality was countered by the righteous indignation of the public. In this clip, an exuberant soccer fan runs across the playing field. He shouldn’t do this of course. He should be apprehended, removed from the playing field and given a citation. What happens instead is that multiple cops (in their internationally standardized black SWAT uniforms) get the guy on the ground and the cop near his head pulls out his nightstick and forcibly jams it into the prostrate man’s head multiple times. So an inappropriate high-spirited prank from a sports fan is met with a brutal and unwarranted assault by Police. This occurs on the playing field in front of everyone. Then the PEOPLE strike back! However, far too many of you are buying into the Police-State mentality promoted by the New World Order Elites that control politics, and by extension the police forces. You blindly believe that “Al-Queda” terrorists are behind every bush; that the citizenry are slave-scum instead of your master. You believe you have the right to “bust-heads” whenever you like. Well I hope you will listen to my words carefully: Police, YOU are NOT part of the “Elite!” They will use you like sacrifical pawns. Like it or not you are part of the PEOPLE that many of you seem to enjoy abusing. You need to get your head straight and think carefully about who you will serve. 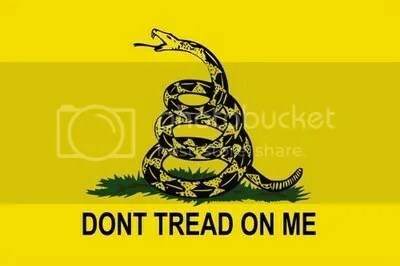 When you start behaving like Nazi storm-troopers, when you start violating the human rights of your fellow man, and if you try and enforce illegal laws against the bill of rights such as shutting down free speech or confiscating peoples firearms….YOU are going to be in a world of hurt. There is no need for any of this. There is no need for either the police or the people to be at each others throats. Recognize who the real enemy is. Do not serve evil. Refuse to obey unconstitutional laws and directives from your superiors. Now here is the clip I promised. Yes, it is “just a sporting event” but this little drama represents a microcosm of societal forces that are building right now. Yet ANOTHER attack on the 2nd Amendment! In 2007, then Democrat member of the United States House of Representatives, Rahm Emanuel, told the gathered at the annual Stand Up For a Safe America event sponsored by the Brady Center that if your name is on the terrorist no fly list you will not be allowed to own a gun. May 15, 2007. Then Congressman Rahm Emanuel (D-IL) now Chief of Staff for Obama Administration, speaking at DC’s annual Stand Up For a Safe America event sponsored by the Brady Center. Emanuel said that if your name is on the terrorist no fly list you should not be allowed to own a gun. In 2007, according to the Inspector General of the FBI-administered Terrorist Screening Center, there were well over 700,000 names on the no-fly database and the list was growing at an astronomical rate of 20,000 records per month. That means the list now contains more than a million people. Senator Ted Kennedy, Rep. John Lewis, and former Senator Ted Steven’s wife, Catherine Stevens are on the list. According to Rahm Emanuel, now Obama’s Chief of Staff, every last one of them are terrorists who will have their Second Amendment right to own a firearm stripped. Rahm Emanuel wasn’t blowing smoke. His proposal to rob more than a million Americans of their Second Amendment right to own firearms may soon become law if a notorious gun-grabber has her way. On May 13, Democrat Rep. Carolyn McCarthy introduced The No Fly, No Buy Act (H.R. 2401), a bill that will merge the TSA’s no-fly list with the National Instant Criminal Background Check System (NICS), a point-of-sale system for determining eligibility to purchase a firearm in the United States, Guam, and Puerto Rico. It was created in November of 1993 when the Brady Handgun Violence Prevention Act of 1993 (Brady Act), Public Law 103-159, was signed into law. Permanent provisions of the Brady Act went into effect on November 30, 1998, and required the U.S. Attorney General to establish NICS. Alex Jones comments on Emanuel’s plan to attack the Second Amendment. “For far too long, the ‘terror gap’ has left a wide open loophole in our nation’s gun safety laws that could allow terrorist to acquire guns the same way any law abiding citizen can,” McCarthy declared as she introduced her bill. McCarthy and Congressman Steve Israel, flanked by law enforcement officials, stressed “the importance of keeping guns out of the hands of people that are known or suspected terrorists,” according to the Floral Park Dispatch. “For far too long, the ‘terror gap’ has left a wide open loophole in our nation’s gun safety laws that could allow terrorists to acquire guns the same way any law abiding citizen can. The No Fly, No Buy Act uses existing TSA data to update the NICS system with the names of known or suspected terrorists to disqualify them from passing the Brady Background Check. This is a common sense gun bill that will prevent guns from falling into the wrong hands,” McCarthy said. The Department of Homeland Security now considers veterans, advocates of the Second Amendment, and states’ rights activists as terrorists. The language of H.R. 2401 reads as follows: “To increase public safety and reduce the threat to domestic security by including persons who may be prevented from boarding an aircraft in the National Instant Criminal Background Check System, and for other purposes,” according to the Open Congress website. Govtrack.us reports that the bill was referred to the House Committee on the Judiciary. It does not take a lot of imagination to speculate what “other purposes” will ultimately mean. What do you suppose it is like to be elected president of the United States only to find that your power is restricted to the service of powerful interest groups? A president who does a good job for the ruling interest groups is paid off with remunerative corporate directorships, outrageous speaking fees, and a lucrative book contract. If he is young when he assumes office, like Bill Clinton and Obama, it means a long life of luxurious leisure. Fighting the special interests doesn’t pay and doesn’t succeed. On April 30 the primacy of special over public interests was demonstrated yet again. The Democrats’ bill to prevent 1.7 million mortgage foreclosures and, thus, preserve $300 billion in home equity by permitting homeowners to renegotiate their mortgages, was defeated in the Senate, despite the 60-vote majority of the Democrats. The banksters were able to defeat the bill 51 to 45. These are the same financial gangsters whose unbridled greed and utter irresponsibility have wiped out half of Americans’ retirement savings, sent the economy into a deep hole, and threatened the US dollar’s reserve currency role. It is difficult to imagine an interest group with a more damaged reputation. Yet, a majority of “the people’s representatives” voted as the discredited banksters instructed. If Obama was naive about well-intentioned change before the vote, he no longer has this political handicap. It is not difficult to understand why. Among those who defeated the homeowners bill are senators Jon Tester (Mont), Max Baucus (Mont), Blanche Lincoln (Ark), Ben Nelson (Neb), Many Landrieu (La), Tim Johnson (SD), and Arlan Specter (Pa). According to reports, the banksters have poured a half million dollars into Tester’s campaign funds. Baucus has received $3.5 million; Lincoln $1.3 million; Nelson $1.4 million; Landrieu $2 million; Johnson $2.5 million; Specter $4.5 million. The additional $126 billion comes on top of the $533.7 billion “defense” budget for this year. The $660 billion–probably a low-ball number–is ten times the military spending of China, the second most powerful country in the world. How is it possible that “the world’s only superpower” is threatened by the likes of Iraq and Afghanistan? How can the US be a superpower if it is threatened by countries that have no military capability other than a guerilla capability to resist invaders? These “wars” are a hoax designed to enrich the US armaments industry and to infuse the “security forces” with police powers over American citizenry. Not a dime to prevent millions of Americans from losing their homes, but hundreds of billions of dollars to murder Muslim women and children and to create millions of refugees, many of whom will either sign up with insurgents or end up as the next wave of immigrants into America. 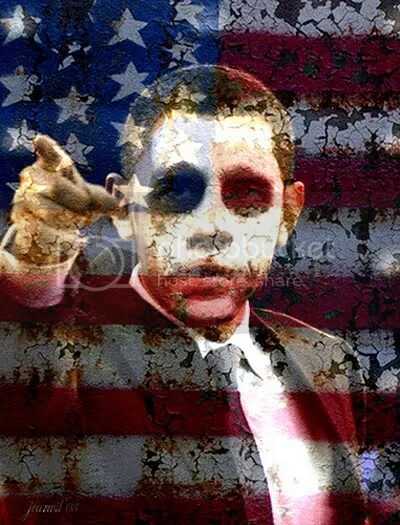 Americans elected Obama because he said he would end the gratuitous criminal wars of the Bush brownshirts, wars that have destroyed America’s reputation and financial solvency and serve no public interest. But once in office Obama found that he was ruled by the military/security complex. War is not being ended, merely transferred from the unpopular war in Iraq to the more popular war in Afghanistan. Meanwhile, Obama, in violation of Pakistan’s sovereignty, continues to attack “targets” in Pakistan. In place of a war in Iraq, the military/security complex now has two wars going in much more difficult circumstances. Viewing the promotion gravy train that results from decades of warfare, the US officer corps has responded to the “challenge to American security” from the Taliban. “We have to kill them over there before they come over here.” No member of the US government or its numerous well-paid agents has ever explained how the Taliban, which is focused on Afghanistan, could ever get to America. Yet this hyped fear is sufficient for the public to support the continuing enrichment of the military/security complex, while American homes are foreclosed by the banksters who have destroyed the retirement prospects of the US population.. According to Pentagon budget documents, by next year the cost of the war against Afghanistan will exceed the cost of the war against Iraq. According to a Nobel prize-winning economist and a budget expert at Harvard University, the war against Iraq has cost the American taxpayers $3 trillion, that is, $3,000 billion in out-of-pocket and already incurred future costs, such as caring for veterans. If the Pentagon is correct, then by next year the US government will have squandered $6 trillion dollars on two wars, the only purpose of which is to enrich the munitions manufacturers and the “security” bureaucracy. The human and social costs are dramatic as well and not only for the Iraqi, Afghan, and Pakistani populations ravaged by American bombs. Dahr Jamail reports that US Army psychiatrists have concluded that by their third deployment, 30 percent of American troops are mental wrecks. Among the costs that reverberate across generations of Americans are elevated rates of suicide, unemployment, divorce, child and spousal abuse, drug and alcohol addiction, homelessness and incarceration. In the Afghan “desert of death” the Obama administration is constructing a giant military base. Why? What does the internal politics of Afghanistan have to do with the US? What is this enormous waste of resources that America does not have accomplishing besides enriching the American munitions industry? China and to some extent India are the rising powers in the world. Russia, the largest country on earth, is armed with a nuclear arsenal as terrifying as the American one. The US dollar’s role as reserve currency, the most important source of American power, is undermined by the budget deficits that result from the munition corporations’ wars and the bankster bailouts. Why is the US making itself impotent fighting wars that have nothing whatsoever to do with is security, wars that are, in fact, threatening its security? The answer is that the military/security lobby, the financial gangsters, and AIPAC rule. The American people be damned. Once upon a time the Boy Scouts were about camping, backpacking, and canoeing. Boy Scouts were into high adventure and sporting activities. Scouts were about preventing forest fires and “Do a Good Turn Daily.” Scouts worked with the Salvation Army and the Red Cross. They cherished ideals such as the Cub Scout Promise and the Law of the Pack. 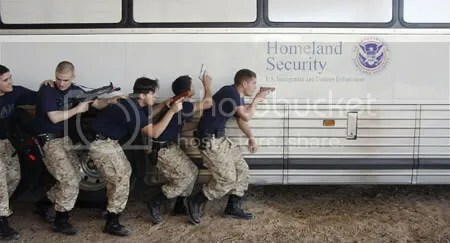 Now the Boy Scouts have a new mission — fighting terrorism, rounding up illegal aliens, search and destroying marijuana fields, and embracing the SWAT mentality. “The Explorers program, a coeducational affiliate of the Boy Scouts of America that began 60 years ago, is training thousands of young people in skills used to confront terrorism, illegal immigration and escalating border violence — an intense ratcheting up of one of the group’s longtime missions to prepare youths for more traditional jobs as police officers and firefighters,” reports the New York Times. “Just as there are soccer moms, there are Explorers dads, who attend the competitions, man the hamburger grill and donate their land for the simulated marijuana field raids. In their training, the would-be law-enforcement officers do not mess around, as revealed at a recent competition on the state fairgrounds here, where a Ferris wheel sat next to the police cars set up for a felony investigation,” Jennifer Steinhauer writes for the Times. Politically correct or not, Homeland Security and the FBI realize Arabs are not the enemy — “rightwing extremists” are. Last month, Infowars reported on a document produced by the Department of Homeland Security’s National Infrastructure Coordinating Center identifying advocates of the Second Amendment, veterans, pro-life activists, and militia members as dangerous terrorists. A subsequent DHS document, entitled “Domestic Extremism Lexicon,” pinpointed “antigovernment” types “rejecting federal authority in favor of state or local authority” as possible terrorists. “Islamic groups are specifically excluded from this document,” writes Benjamin Sarlin for the Daily Beast. 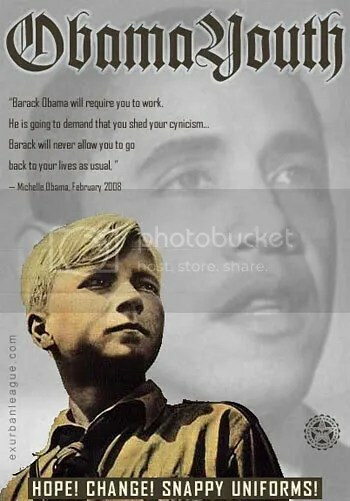 The new Gestapo Boy Scouts program will train the new Hitler Youth — or Obama youth — for the challenges of a totalitarian globalist future. As the planned implosion of the economy unfolds and unemployment increases, the federal government is picking up the slack. “In the wake of the huge stimulus package to jumpstart the economy, plenty of new positions are being created by 2010. The agencies that will benefit include the Defense, Commerce, Homeland Security and Veterans Affairs departments,” writes Judi Hasson for Fierce Government. Gestapo Scouts will be required to combat “rightwing extremists” who will refuse to turn in their firearms after the next false flag terror attack or engineered pandemic. SWAT Scouts will be called to deal with those who refuse to participate in mandatory vaccinations. Police state Scouts will be the vanguard for Obama’s million-man Civilian National Security Corps. “just as powerful, just as strong, just as well-funded” as the military. It’s up to the New York Times, as the premier “liberal” propaganda outfit, to sell the militarization of the Boy Scouts to the American people, using the standard bugaboos of Arab terrorists, drug cartel thugs, and marijuana cultivators as the example of why all of this is necessary. In the real world, however, government is not primarily concerned with drug dealers — after all, the government and Wall Street run most of the drugs — they are worried about growing opposition to the destruction of the Constitution and the imposition of world government by a cabal of international bankers and their corporate fascist partners in crime. Hey….who can forget this heartwarming clip of the “Obama Jugend” in action? Senator Kirsten Gillibrand, Democrat and member of the so-called Blue Dog Coalition, plans to introduce an assault weapons ban this week. Gillibrand, the junior senator from New York, was at one time highly rated by the NRA for her advocacy of the Second Amendment. Newsday claims Gillibrand has “undergone a transformation” over the last three months and has moved away from “her House record that won the NRA’s top rating while remaining a supporter of Second Amendment rights to gun ownership.” Since her Senate appointment, she has “passed just about every test on guns set by Rep. Carolyn McCarthy,” who reintroduced a bill closing the so-called gun-show loophole at a news conference last week. 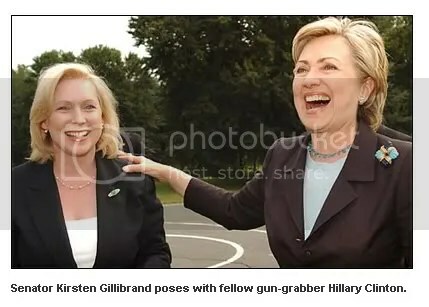 It appears likely Ms. Gillibrand was a gun-grabber all along and used the Second Amendment as an election ploy. Polls indicate a large percentage of voters strongly support the Second Amendment. McCarthy’s bill, H.R. 6676, would utilize the National Instant Criminal Background Check System for background checks on all gun store employees and dealers. In addition to H.R. 6676, three other bills have been offered including laws that would make it illegal for known or suspected terrorists to buy guns. Senator Gillibrand is working closely with gun-grabbing organizations, including New Yorkers Against Gun Violence and the Brady Campaign, according to Matt Canter, Gillibrand’s spokesman. New York City Police Commissioner Ray Kelly and others are working with Gillibrand on “anti-trafficking legislation to stop the flow of illegal guns,” Canter told Newsday. The Obama administration recently attempted to link the right to own firearms to drug cartel violence in Mexico. Secretary of State Hillary Clinton and other administration officials have said 90 percent of the weapons used to commit crimes in Mexico come from the United States. In fact, only 17 percent of guns found at Mexican crime scenes have been traced to the U.S. Statistics reveal that most of the guns flowing into Mexico come from the black market, Russian crime organizations, South America, Asia, Guatemala, and the Mexican Army. Soon after his shoo-in confirmation, Attorney General Eric Holder revived the assault weapons ban debate. 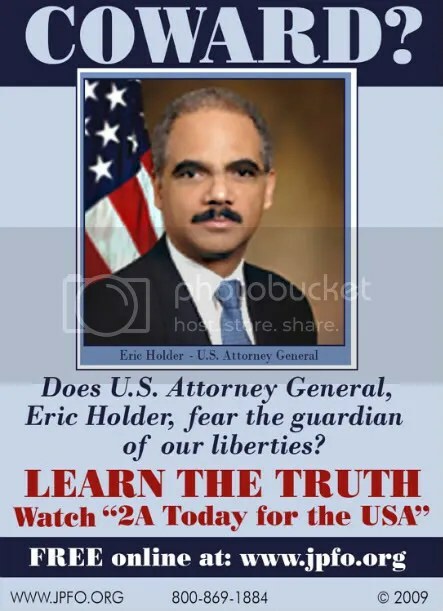 Responding to a reporter’s question on weapons’ regulations, Holder said, “Well, as President Obama indicated during the campaign, there are just a few gun-related changes that we would like to make, and among them would be to reinstitute the ban on the sale of assault weapons. I think that will have a positive impact in Mexico, at a minimum.” Holder did not provide details on when legislation would be presented to Congress. Democrats are reluctant to make additional attacks against the Second Amendment. In 1994, the issue was instrumental in handing over control of Congress to the Republicans. Earlier this year, the Democratic-led Senate dealt a body blow to the gun control movement, when 22 Senate Democrats, led by Majority Leader Harry Reid, D-Nev., joined 40 Republicans to shelve firearms restrictions in the nation’s capital. Democrats, however, are biding their time. Veteran gun-grabber Sen. Dianne Feinstein, a California Democrat, author of the 1994 assault weapons ban, told CBS’ “60 Minutes” on April 12 that she has no intention of reintroducing the assault weapons ban at this time. “I’ll pick the time and the place, no question about it,” she said, that is to say when the opportunistic introduction of such legislation is politically expedient and will not damage her party. Government propaganda and exploitation of recent high profile “gun violence” stories by the corporate media have not turned the public against the Second Amendment. “Recent polls show shrinking support for new gun control measures and strong public sentiment for enforcing existing laws instead. So strong is the shift in public opinion that a proposed assault-weapons ban — once backed by three in four Americans — now rates barely one in two,” reports the Houston Chronicle. An April poll by NBC News and the Wall Street Journal found that support for curbing the sale of assault weapons and semiautomatic rifles has dropped from 75 percent in 1991 to 53 percent today. ……and in related news….a US Soldier who is a married father of three children with absolutely no criminal history was CONVICTED of Felony Machine-Gun Possession when a rifle he loaned to someone MALFUNCTIONED! Tyranny is not coming folks….it is here!